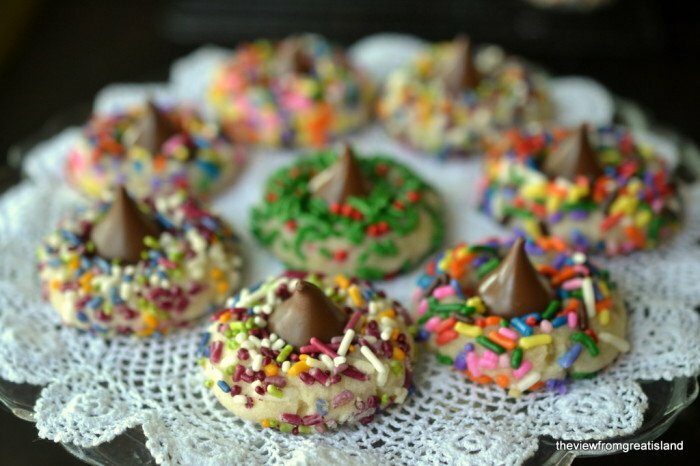 Sprinkle Blossom Cookies are a festive twist on classic holiday cookies, kids of all ages love ’em. This weekend marked the kickoff to my holiday baking. 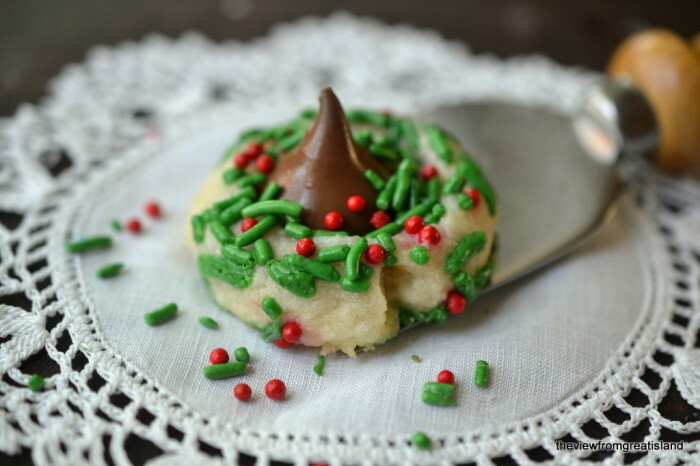 If you didn’t catch it, I rounded up up my Top Ten fave holiday cookies on Saturday… but part of the fun of Christmas cookie baking is finding new recipes to try. These cookies have the joy of the season written all over them, they’re the ones you’ll send in for the class holiday party, they’ll be the top sellers at the bake sale, and they’ll add a pop of color to your cookie gift box. Besides all that, I’m a sprinkle junkie. I don’t think I’ll ever outgrow them. 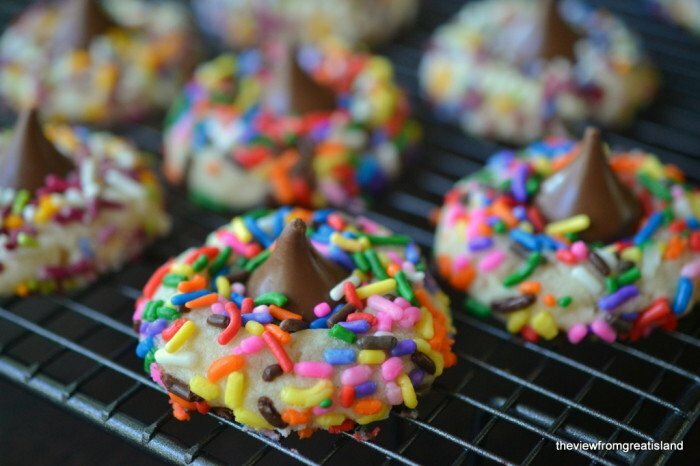 These are patterned after the famous Hershey’s Peanut Butter Blossom Cookie, only instead of a peanut butter cookie I made a vanilla version and smothered them in sprinkles. It’s such a kick to take the unwrapped Kiss and gently smoosh it down into the soft, just baked cookie. It must be a primal instinct to play with chocolate and warm dough, I could do it all day. There are so many great sprinkles on the market now, I used several different kinds. 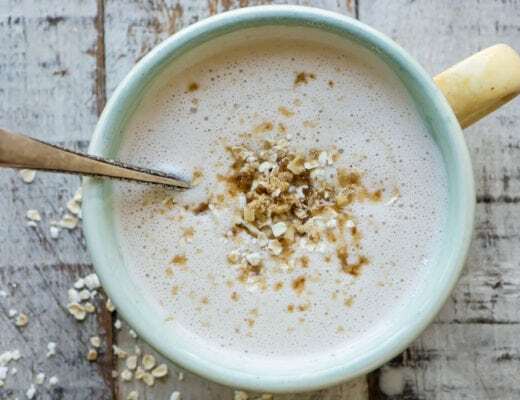 Of course if you want to get really fancy, you can make your own, I have a recipe for them here. 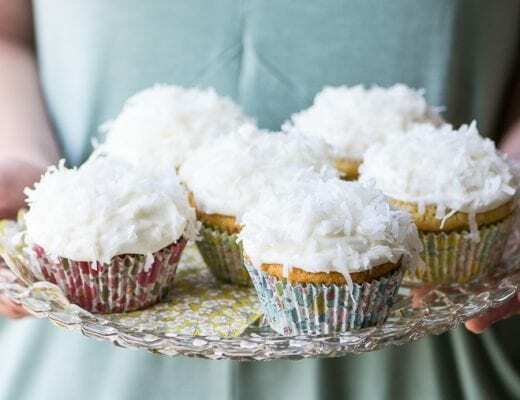 If you want to use all natural sprinkles and decorating sugars, you can buy them here. I know I said these cookies are fun, and for kids, but they do look pretty smart all doilied up for a dinner party, too. Because they are small, these cookies should be eaten fairly soon after they’re made. I don’t think that should be a problem, do you? Make sure your butter is truly soft before you start. It will not blend into a dough otherwise. The dough is meant to be crumbly, don’t add more liquid to make a soft dough or the cookies won’t hold their shape. The dough will come together when you roll it into a ball with your hands. 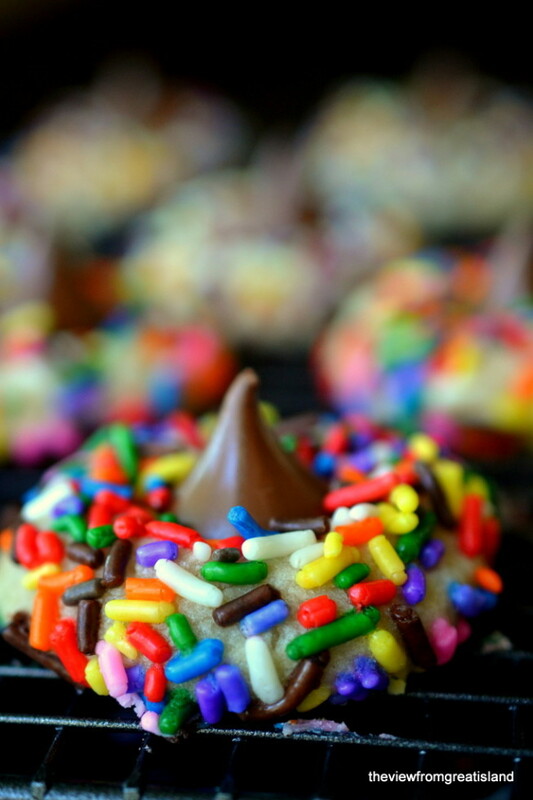 It can sometimes be hard to get the sprinkles to stick to the ball of cookie dough. 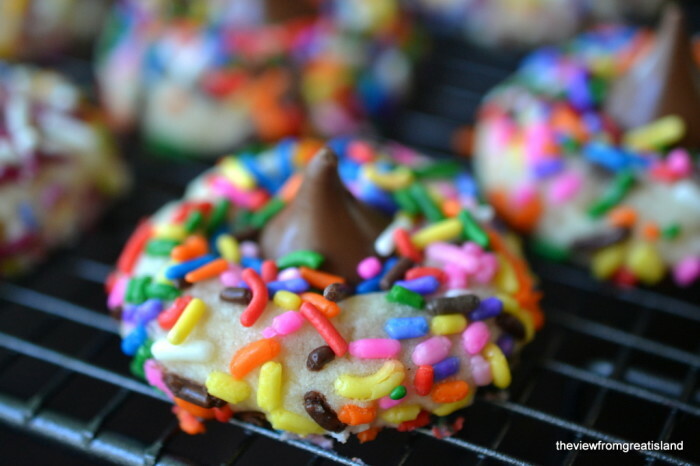 Do the best you can, and after the cookies come out of the oven, I add more sprinkles to the warm cookie. If you are baking the cookies in batches, keep the dough well covered in plastic wrap in between batches. Remember, you are using an ungreased cookie sheet. You don’t want the cookies to spread. 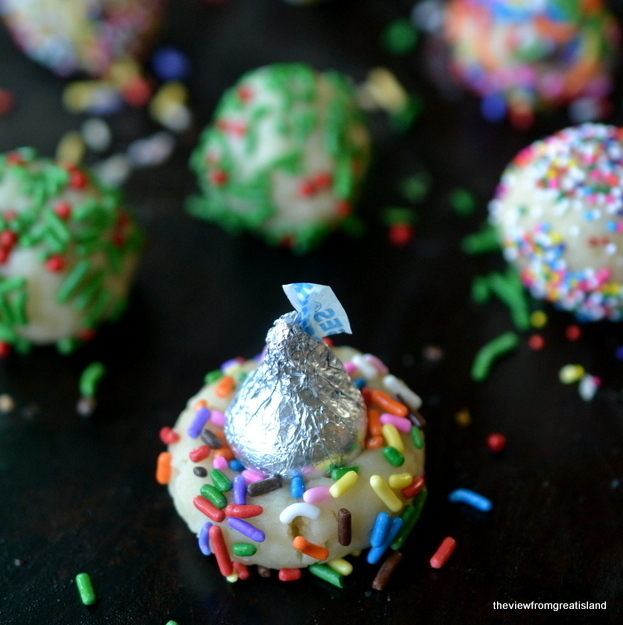 Have all your kisses unwrapped and ready to go when the cookies come out of the oven, and place them in the center of the cookies right away, while the cookies are still hot. Cream the butter, the shortening, and the sugar until well combined. Beat in the vanilla. Whisk together the cornstarch, flour, and salt, and add them to the bowl, along with the cream to bring together the dough. It will be crumbly, but it should come together when you press it between your fingers. If your dough is very dry you can add a little more milk or cream. Roll 1 inch balls of dough in your palms until smooth. 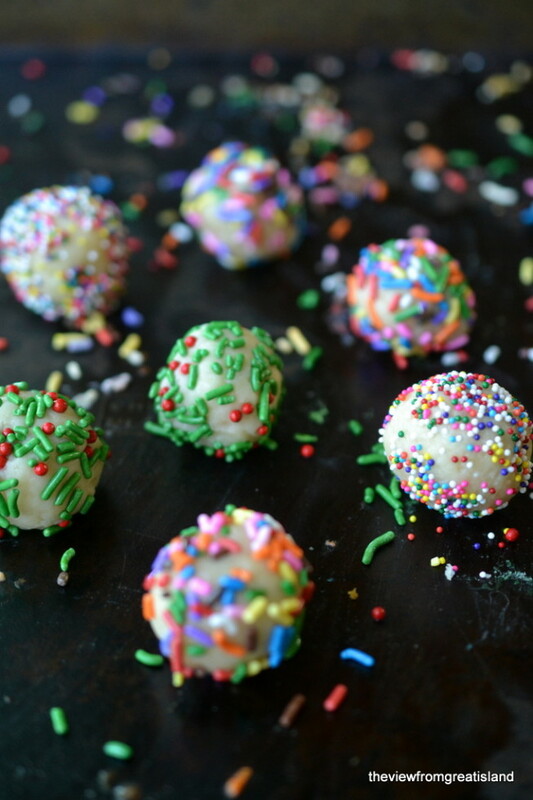 Roll the balls in sprinkles, pressing them on as best as you can. Set the balls on an ungreased baking sheet. 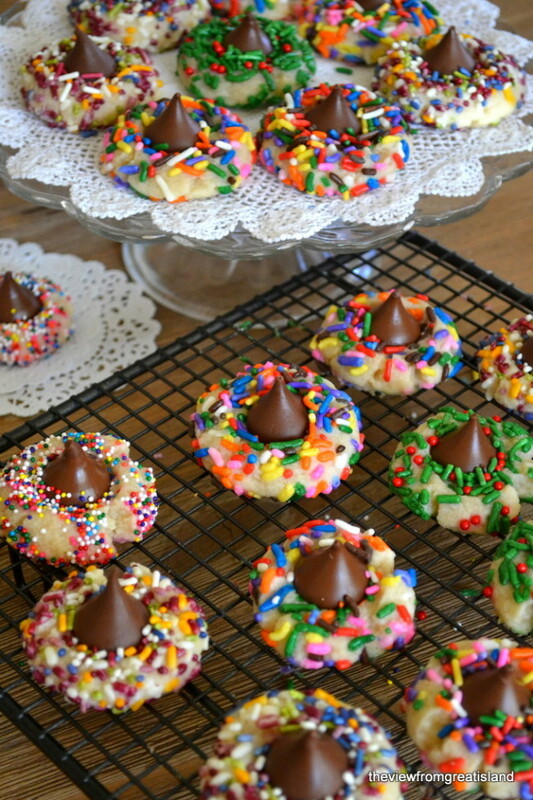 Immediately put an unwrapped Kiss into each cookie, pushing down gently. Shower the top of the cookie with a few more sprinkles, if desired. Let cool on the cookie sheet for a couple of minutes before transferring to a rack. You can try all butter Sue, but the crisco does help them keep their shape! I like peanut butter, but am not crazy about it. But, once I read that you made a vanilla version, I wanted to hug you. You should see my sprinkles collection. I’m bad. Or good, if I make these. Pinning! I love blossoms, these are so festive with the sprinkles! Can i use all butter instead of Crisco? I didn’t try them with all butter, so I’m not sure, Karen, but you should be ok. I used the shortening because it helps cookies keep their shape. 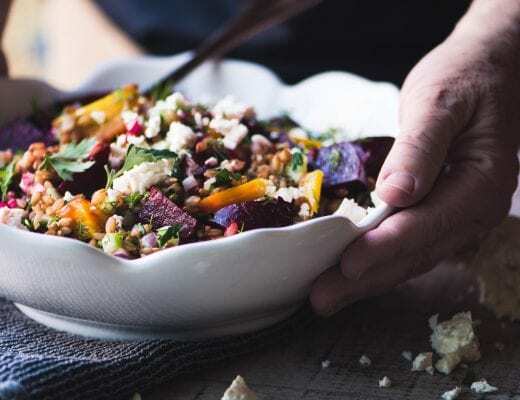 Oh I would scoff a plateful too! So adorable! My kiddos would love these cookies! Thanks Anna — definitely one for the kids. I’m sending mine off to my kids who, even in college, still have a weakness for sprinkles.